Fire Sprinkler Inspections | Morristown Automatic Sprinkler Co. Partner with the company providing thousands of fire sprinkler inspections. Morristown Sprinkler is a full service fire protection services contractor with the resources and experience necessary to offer a variety of fire protection and security solutions for any application. 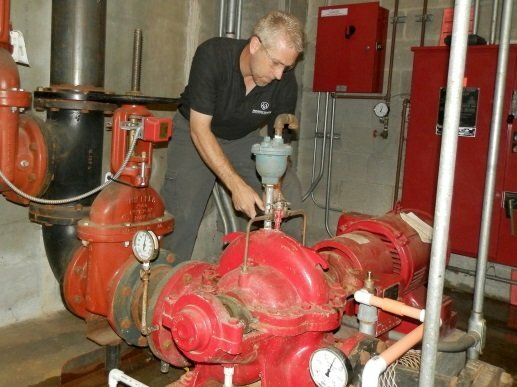 We pride ourselves on having one of the largest fire sprinkler inspections and service departments in East Tennessee. Fire sprinkler systems are only effective if properly maintained by professionals. Each year, we perform thousands of inspections on a wide variety of systems. Whether you require monthly inspections, quarterly, semi-annually, or annually, our experienced staff can handle all of your needs. Another service we provide is flowing fire hydrants for our customers, but also for architects and engineers that need current water flow data for a particular site during the design phase of the project. Our technicians use hand-held tablets, ensuring that our inspection forms are legible and can easily be emailed directly to the customer or authority having jurisdiction. We have 24-hour emergency service, 365 days per year. NFPA 25 (Standard for the Inspection, Testing, and Maintenance of Water-Based Fire Protection Systems) provides all the necessary requirements for properly maintaining a fire sprinkler system. 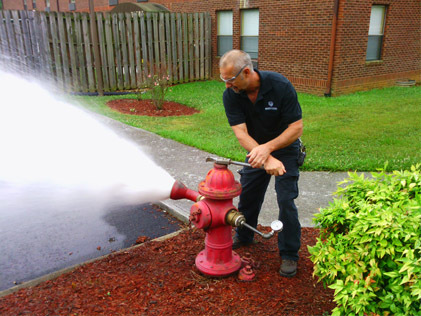 Many businesses and homeowners in Knoxville, TN and the surrounding areas have come to depend on Morristown Sprinkler for their inspection needs. Please feel free to contact us to schedule an inspection of your sprinkler system.